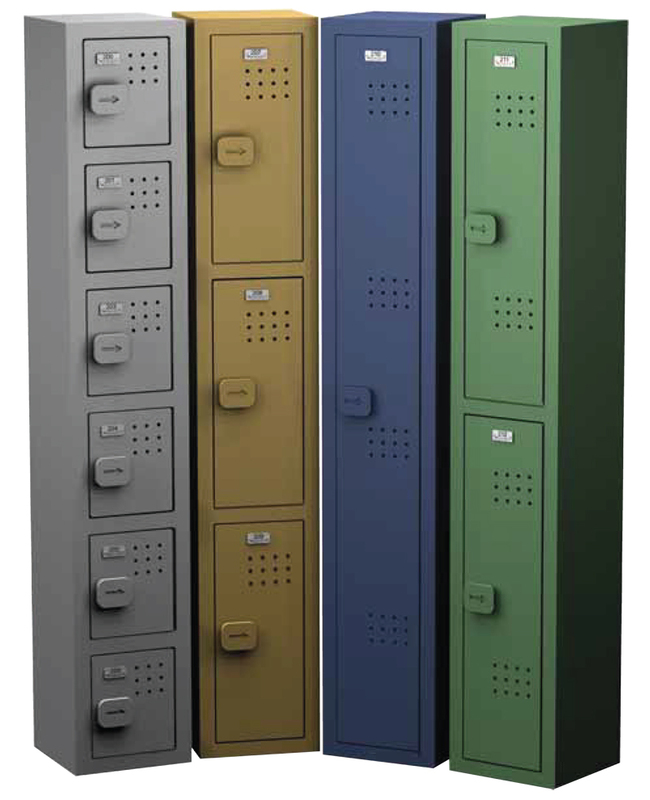 ASI Metal Lockers in 4 collections and offering 15 colors to choose from. Traditional, Traditional Plus and Competitor Lockers are part of the quick ship program. Quick Ship Color Chart and Available Sizes. 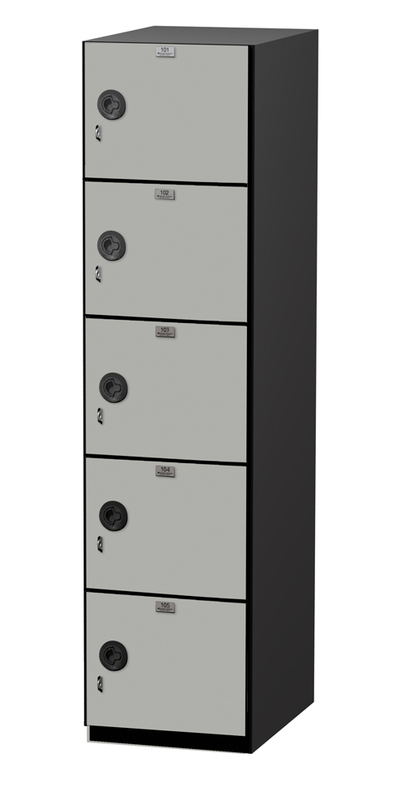 lockers are available in multiple configurations and are backed by a fifteen-year warranty. Superior Construction — Distinct to ASI Storage Solutions, phenolic sheet has ½” thick doors. Robust Hinges — 16-gauge stainless steel piano hinge powder coated black. Beneficial Material Qualities — Corrosion- and chemical-resistant, low moisture absorption and good mechanical strength. 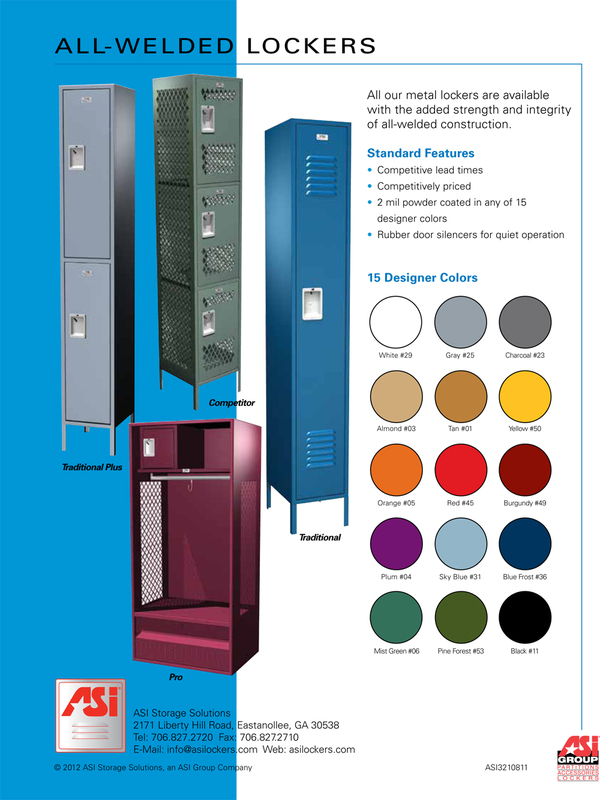 Durable Design — Serves applications not suitable for metal lockers. Both Color-Thru and Black-Core Available! 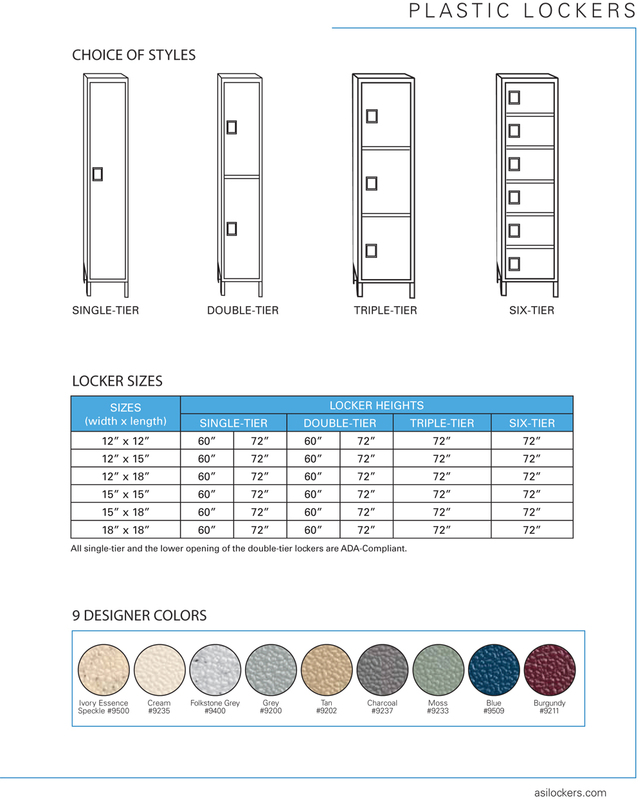 on what manufacture lockers you are looking for us to quote.